Carbohydrates aren’t exactly synonymous with fat loss. In fact, going on a low-carb diet (or cutting out carbs altogether) is often touted as the best means for losing weight. While the low-carb/no-carb diet trend is widely popular, it’s also widely controversial. 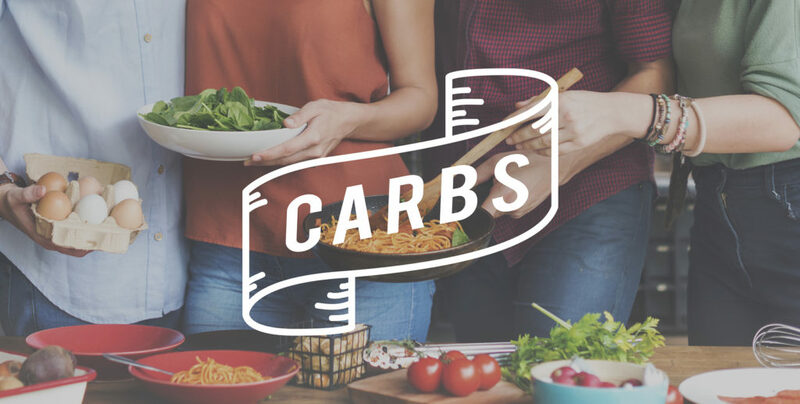 I recently spoke with Mike Koskiniemi, co-owner of Motions Fitness in Minnesota, who is a big proponent of low-carb/no-carb diets. He emphasized that his clients who cut carbs from their diet were the ones who successfully lost weight and kept it off. And there is also plenty of research to back up his findings. However, there is also a lot of research emphasizing the importance of certain carbohydrates for optimal health and weight loss. There’s even a diet plan around eating carbs! 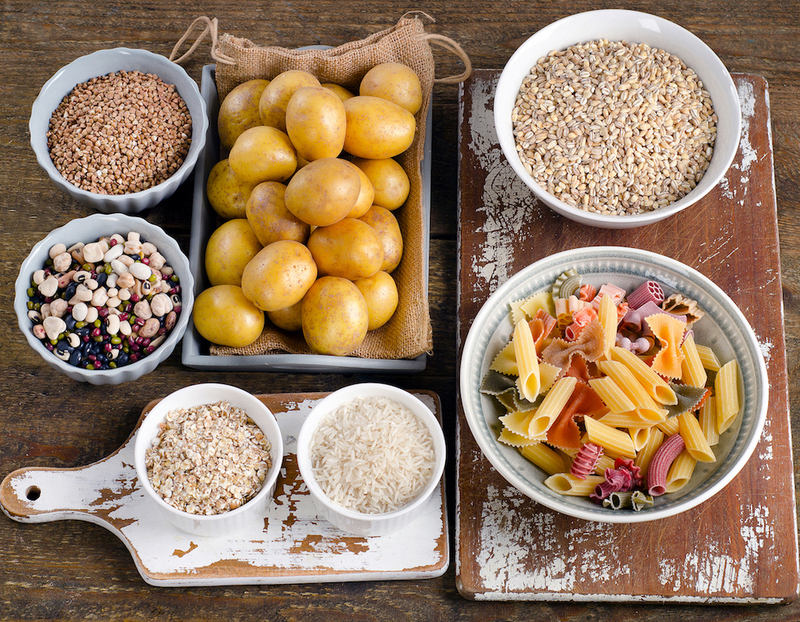 Before you blacklist carbohydrates and send them packing from your diet, let’s take a closer look at what carbohydrates are and why they may (or may not) be important for helping you achieve your weight-loss goals. Carbohydrates are better known by their common names: Sugars, starches, and fiber. Carbs are the body and brain’s preferred (and most efficient) power source. The body breaks down carbs into glucose for energy. Unused glucose gets converted to glycogen that’s stored in the liver and muscles. If the liver and muscles are at full glycogen capacity, glucose converts into fat. Carbs are considered macronutrients (along with protein and fat). This means that the body requires carbs in a rather significant amount for optimal functionality. The Dietary Guidelines for Americans recommends that 45 to 65% of your daily calorie intake comes from carbohydrates. The Academy of Nutrition and Dietetics recommends increasing that number depending on the type of physical training that you do. That being said, the body can technically survive without carbs by relying solely on protein and fat. 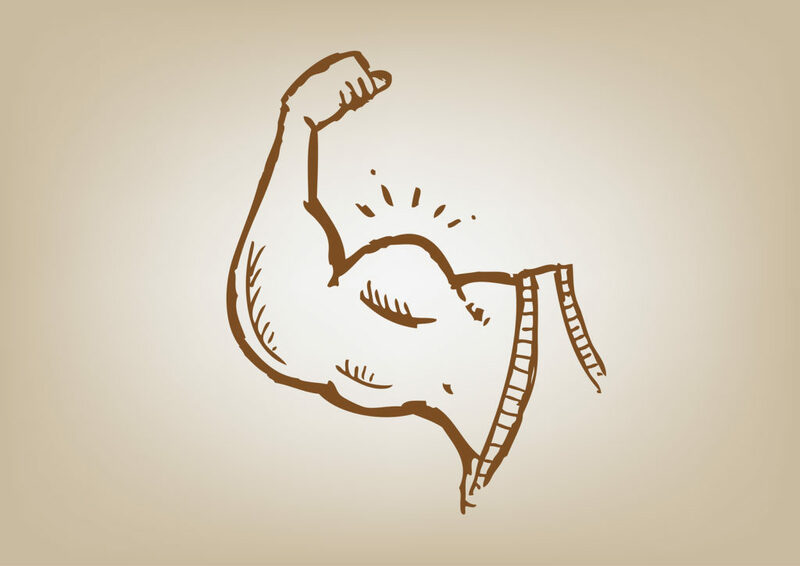 However, doing so can limit your ability to maintain muscle mass. I talk a lot about glycogen in my nutrient timing article because glycogen in the muscles gets depleted when you exercise. The more intense or longer the bout of exercise, the quicker glycogen gets used up. Carbohydrates are the most efficient source for restoring glycogen in the muscles to prevent catabolism (the breaking down of muscle tissue). There are two main categories of carbohydrates: Simple carbs and complex carbs. 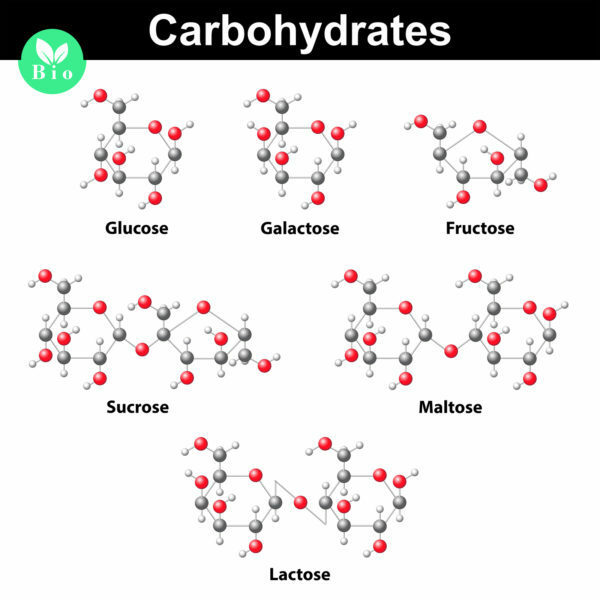 Simple carbs are sugars (glucose, sucrose, maltose, lactose, sucrose). These carbs are easily digested and provide the body with a quick burst of energy. They also rapidly increase blood sugar levels, which can be bad or good depending on the situation. 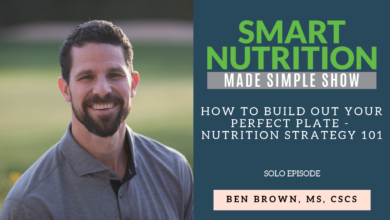 For example, simple carbs like no sugar added fruit juice (particularly tart cherry or pineapple juice) are great for post-workout recovery because they can re-energize you within minutes. However, if you have diabetes, the last thing you need is a food that quickly spikes your insulin. 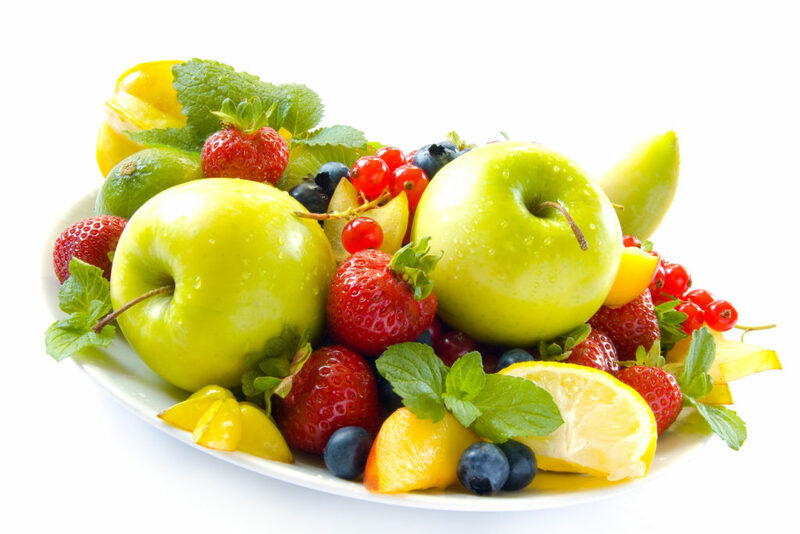 You can find simple carbs in healthy foods like fruits, no sugar added fruit juice, and milk. However, you can also find simple carbs in refined and processed foods like soda, candy, cake, and artificial sweeteners. This is where simple carbs get a little bit less simple. You can eat all the fruits (and veggies) your heart desires because these carbs are made up of naturally occurring sugar and are high in fiber, vitamins, and minerals. 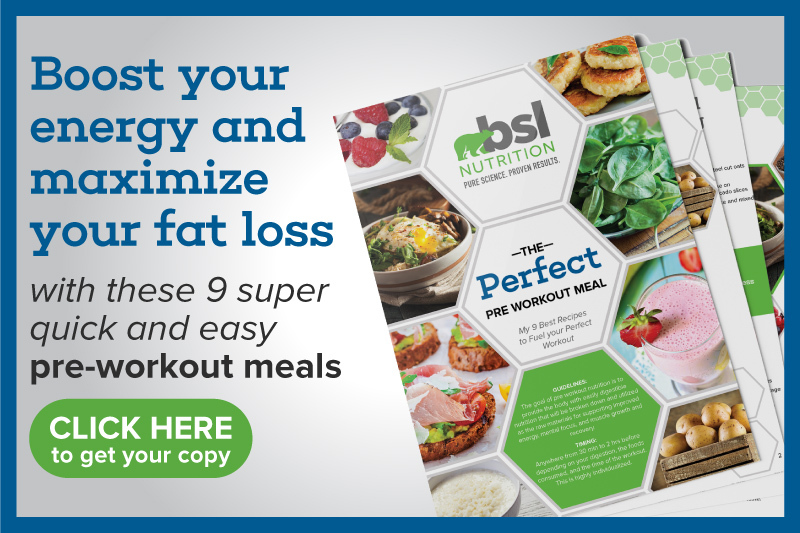 They help keep you regular, help you maintain a healthy gut, reduce your risk of heart disease, diabetes, and obesity, and may even help you ward off certain cancers. However, refined and processed foods, like table sugar, cookies, cake, and soda provide your body with very little nutritional benefit, if any at all. You’re basically eating empty calories, which keeps you from feeling full and ultimately leads to weight gain (not weight loss like many of us want). Unlike simple carbs, the body digests complex carbs more slowly, which makes you feel full faster and longer. Complex carbs are also low glycemic index carbs because they provide a steady release of glucose into the blood stream. This means no quick spike in blood sugar. Eating a meal rich in complex carbs a couple hours post-workout helps your body recuperate and maintain muscle mass after an intense workout. Healthy complex carbs are starchy foods like beans, lentils, peas, whole grains, and potatoes. However, refined, processed foods can also be complex carbs. These are foods like white bread and white rice. These complex carbs are stripped of all their nutritious goodness during processing. A low-carb diet is exactly what the name suggests, a diet with few (to no) carbohydrates. 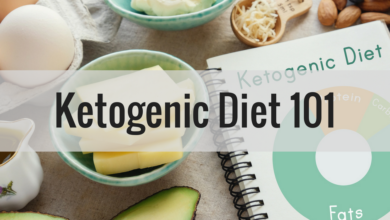 You’re probably familiar with the Atkins Diet, Ketogenic Diet, or Paleo Diet. These are low-carb diets. They stress eating healthy proteins and fats instead of carbs. 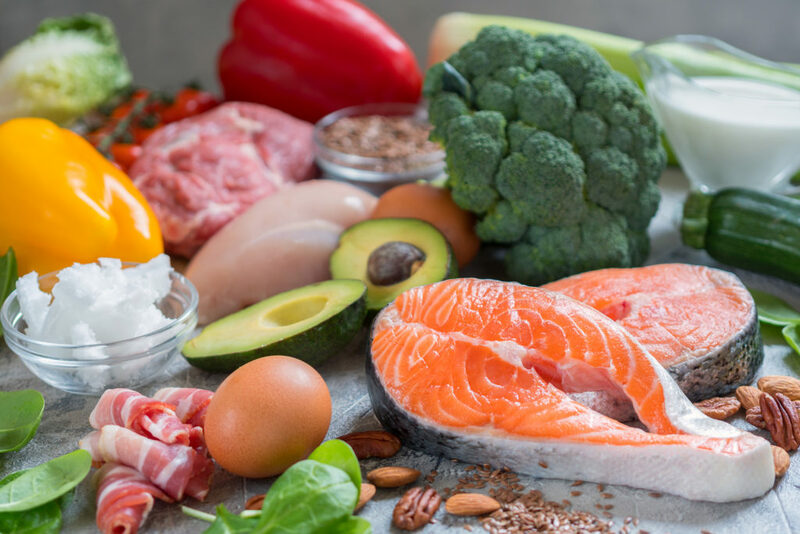 A healthy, low-carb diet consists of eating foods like vegetables, meat, fish, eggs, and fruit (yes, even though fruit is a carb, you need it for optimal bodily function), and avoiding sugary, starchy, and processed foods like bread, pasta, potatoes, and junk food. Check out this video to find out more about what to eat on a low-carb diet. It’s not surprising that eating a low-carb diet can help you lose weight. 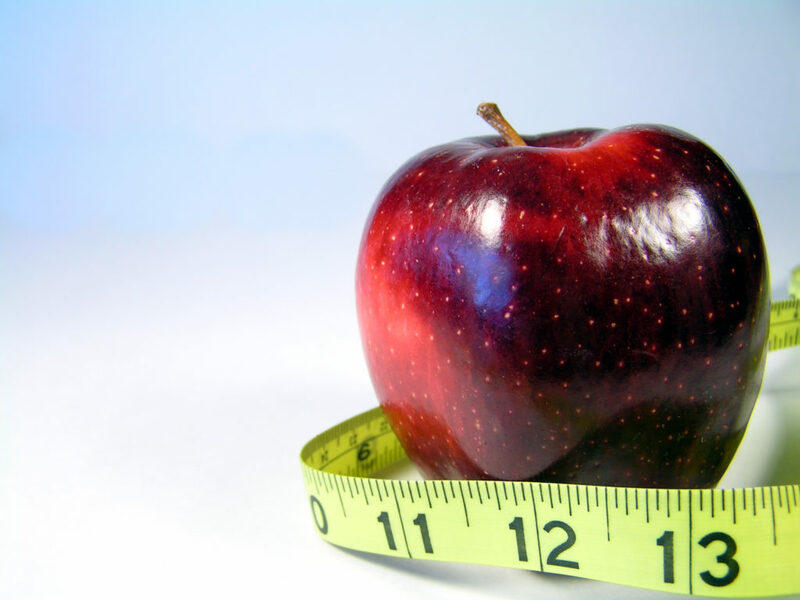 In order for weight loss to occur, you need to create some level of caloric restriction. Period. Low-carb diets do just that. By virtue of restricting carbs like bread, pasta, soda, and sweets, you end up eating fewer calories. Fewer calories mean weight loss, plain and simple. A low-carb diet also puts your body into a metabolic state called ketosis. During ketosis, your body starts burning fat for energy since there is an absence of carbs. Hence, fat loss. Low-carb diets long-term are also associated with appetite reduction, better blood sugar, less belly fat, and better cholesterol. It’s pretty clear now that not ALL carbs are bad. 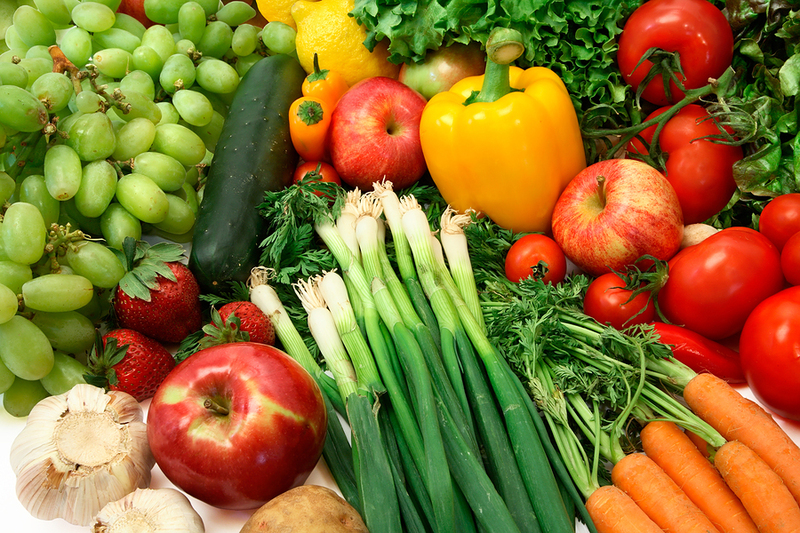 Fruits and vegetables are carbs, but they are necessary for optimal body function. They provide you with phytonutrients to ward off chronic disease, antioxidants to keep your cells young and healthy, and fiber to regulate you and make you feel full. Check out this video with bestselling author and holistic nutritionist Esther Blum on why she says a diet without fruits and vegetables is a bad idea. Other complex carbs, like whole grains and legumes, can also help you lose weight. These carbs take longer to digest, which makes you feel full faster. If you aren’t hungry, you’re not going to eat as much. Complex carbs, like whole grains, legumes, and potatoes also contain resistant starch. These are starches that the body isn’t able to break down. Resistant starch is similar to fiber in that it helps feed good bacteria in your gut and aid in digestion. (Check out this video with naturopathic physician Saman Rezaie to learn why bacteria is important for your gut.) These carbohydrate foods can also help with weight loss, blood sugar levels, and insulin sensitivity. That means you can still have your cake and eat it, too. Moderate carb consumption is around 150+ carbs per day. If you’re physically active and wanting to lose a little weight, this is a great target for you. I recommend eating the same carb sources as the liberal carb consumers but in smaller quantities. Portion size and conscious eating is key to weight-loss success. Minimal carb consumption is 100 grams or less of carbs per day. 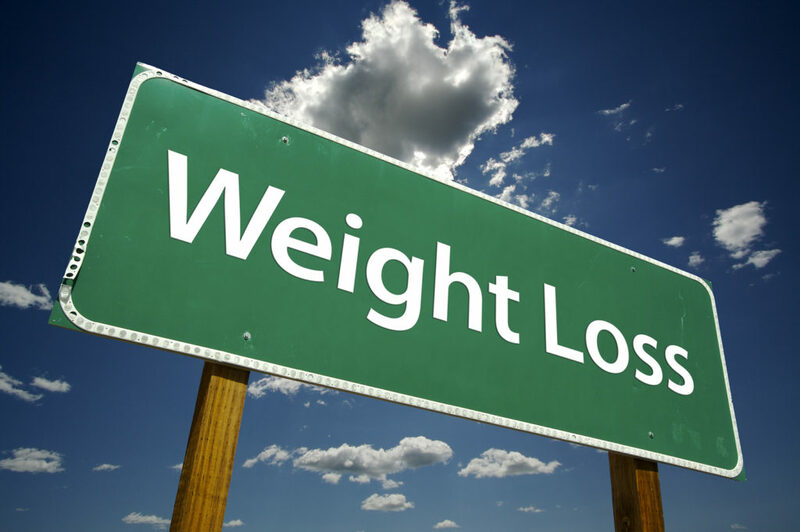 This would be a great starting point for you if you’re looking to get a jump on your weight-loss plan. You’ll want to mainly stick to eating lean protein and veggies, healthy fats (like olive oil and avocado), and very minimal fruit. Just to put things in perspective, a 12-oz can of Coca-Cola is roughly 40g of carbohydrates. 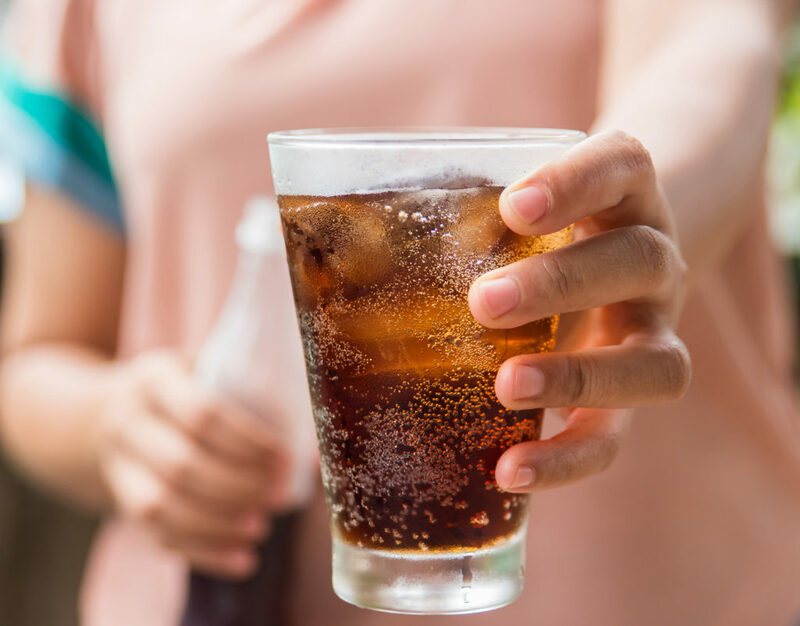 If your goal is 100g of carbs or less a day, just one can of soda equates to nearly half of your daily carb quota. There is no doubt that eating a low-carb diet can help you lose weight, as long as you’re not increasing your calorie intake while doing so. 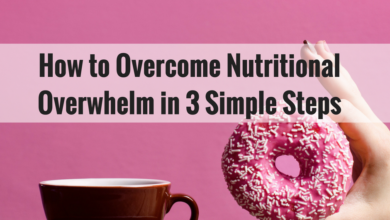 However, you don’t need to vilify the entire nutritional group to reach your weight-loss goals. Eating whole fruits and complex carbs like vegetables, nuts, and legumes, and cutting out unhealthy, refined, or processed carbs will also help you lose weight. A good starting point for most people is to aim for 1 gram of carbohydrate per pound of ideal body weight. Adjust up or down based on weight-loss progress, but don’t forget to pay attention to your protein and fat intake as well. Fat is a satisfying macronutrient that both makes you feel full and can keep blood sugar stable. However, according to the American Heart Association, eating high-fat diets that are rich in saturated fats can raise LDL cholesterol, which can increase your risk of heart attack and stroke. Additionally, I want to emphasize that while you can cut carbs and exercise, carbohydrates are still important for muscle retention and fitness performance in endurance athletes and weightlifters. Carbs from a pre- or post-workout drink can supply you with enough energy before you exercise and replenish glycogen stores quickly after you exercise.